GastroCare LI (Glendale) - Book Appointment Online! GastroCareLI welcomes you to our practice. Our practice is limited to Gastroenterology and includes nutrition and liver diseases. 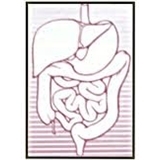 The study of Gastroenterology involves the digestive system. Our main office is centrally located in Valley Stream,N.Y. An initial consultation to review your problems and formulate a plan and treatment is required. Procedures are done either in the Valley Stream office which is Joint Commission certified or the new Meadowbook Endoscopy Center. We have the latest in video endoscopy equipment and a highly trained staff. We have board certified anesthesiologists for sedation. Our office accepts nearly all insurances and HMOs and the staff will assist you through the difficult paperwork. We pride ourselves in comfort , safety and cleanliness. In order for our office to provide quick and efficient service please include member id# when booking appointments. I left there feelings like I had known him for years, very caring and personable.